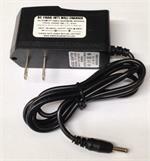 IC-CP : DC Power & Charge cord for ICOM, REALISTIC, RADIO SHACK, & BENDIX-KING radios, etc. One end plugs into radio; has coiled cord; other end plugs into 12-13.8VDC socket. The IC-CP provides power to the radio, and it can also slow-charge an attached battery when radio is turned off. Fits radios such as ICOM IC-02AT, IC-03AT, IC-04AT, IC-32AT, IC-2GAT, IC-3GAT, IC-4GAT, IC-A20, IC-A21, IC-A22, IC-A3, Radio Shack HTX-202, HTX404, Bendix King KX-99, and many more. The IC-CP has a barrel plug sized 5.0mm/2.1mm, center positive. 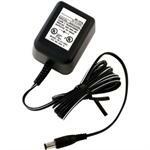 This plugs into the respective HT radio; it ALSO can plug into battery packs such as the CM-7 and CM-7x. The DC socket plug (at other end) is fuse-protected. $ 12.95 pricing effective 09-2018.